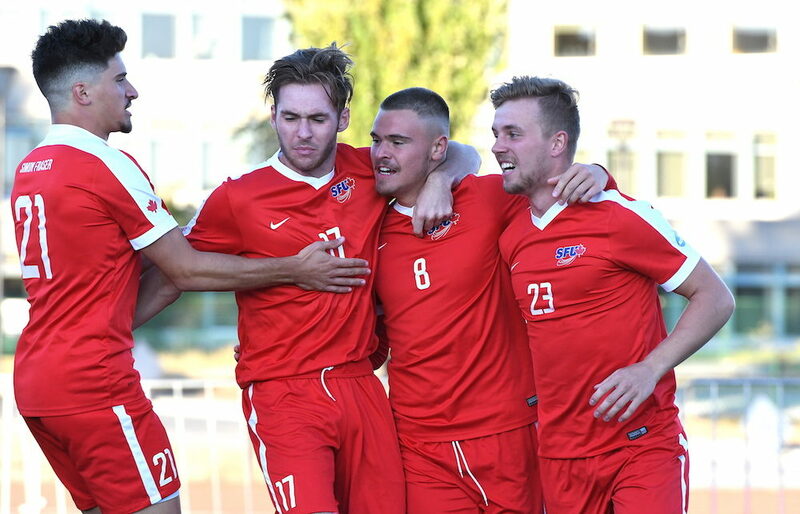 Yes, Terry Fox Field has been a fortress for the Simon Fraser men’s soccer program for a decade and counting, a place where the numbers provide what statisticians might consider irrefutable evidence. Since 2012, when they became full NCAA members in standing, the Clan has gone 43-3-3. Since losing 2-1 on Oct. 16 of 2014 to Seattle Pacific, the Clan has gone its last 24 games at home without a loss (22-0-2). And head coach Schneider, since taking the helm of the program to start the 2015 season, has piloted SFU teams to an 18-0-2 home record, including 6-0 overall this season. Yet despite all of that, it’s hard to remember a time when home-field advantage has been as relevant as it is this week for Schneider and the Clan. A loss at Montana State Billings followed by a draw at Northwest Nazarene last week has turned SFU’s bid to win the Great Northwest Athletic Conference regular-season championship, and its resulting automatic berth to the NCAA D2 national championship tournament, into a much more daunting proposition. The Clan (6-2-2) will be aiming to win both of their remaining games — at home Thursday against Western Washington (5-3-2), and then again at home Saturday against Seattle Pacific (7-3-1) — to insure the GNAC title. Both are 7 p.m. starts. And when you consider all the hurdles Simon Fraser soccer was forced to navigate on foreign turf early in its NCAA history just to make its national mark, and how much time they themselves continue to spend competing in a foreign country, you can’t blame the head coach for showing his home-field pride at a time when it matters so much. To be clear, there is a huge difference between being boastful and prideful, and in the case of the Clan it is definitely the latter. SFU’s status as the only non-U.S. school in the entire NCAA is clearly a unique rallying point, yet it’s that very uniqueness which has brought adversity and helped forge the program’s appreciation for what it means to play on the green, green grass of home. Later this week, it will have been five years since Clan men’s soccer rose to national NCAA prominence, earning its first of back-to-back national Final Four appearances despite losing home-field advantage on a technicality. As if shot from a cannon, the program ushered from the NAIA into NCAA D2 under former head coach Alan Koch with a Schneider as his lead assistant, won the GNAC regular-season crown over a debut 2010 campaign in which it was not allowed to enter post-season competition. Then in 2012, after earning full membership and the No. 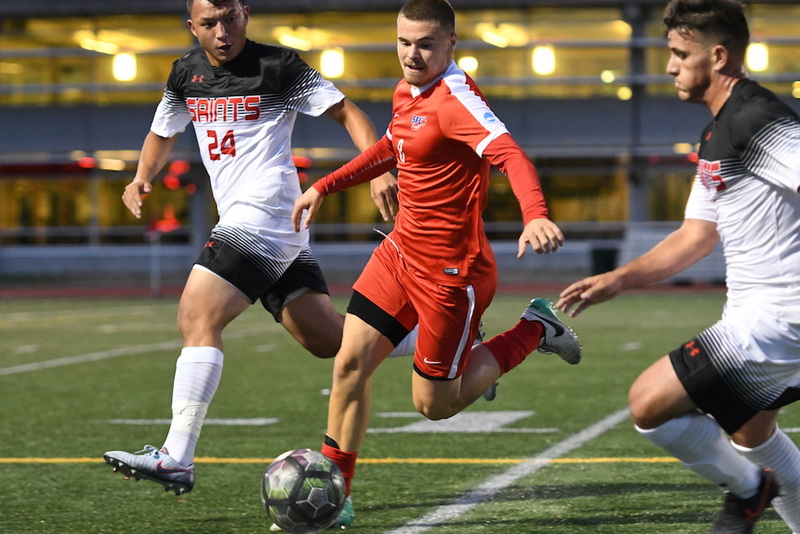 1 seed in the West Region, SFU was denied its rightful ability to host its sectional play downs as part of the NCAA national championship draw because questions arose as to whether or not the rest of the qualifying teams could secure passports to come north across the border. That meant the Clan spent 11 days as a nomadic host of the West Regional in the San Francisco Bay Area before heading to Georgia for the Final Four. This season, somewhat out of character for a team that has been ranked as high as No. 2 nationally, the Clan has had its shares of bumps on the road. Yet as it prepares to welcome traditional foes Western Washington and Seattle Pacific to its Terry Fox Field confines later this week, Schneider doesn’t downplay for a second how important it has been for his team to tap into the rich soccer community which surrounds the campus. Take a scan of the Clan roster and it’s easy to see that its recruiting arms extend around the world with South Africa, Norway, Germany and South Sudan all represented. “When I inherited this program, the goal was to continue to have international players but also be very targeted on getting the best B.C. kids,” said Schneider, who goes so far as to credit the spin-off benefits of the latter as a major reason why home field has become such a positive environment for his program. Schneider even admits that fortunate geography has added up to a win-win situation for the players and the program. “The way that families have begun to distribute themselves in the Lower Mainland, they have continued to move further away from downtown and closer to the Fraser River,” says Schneider. 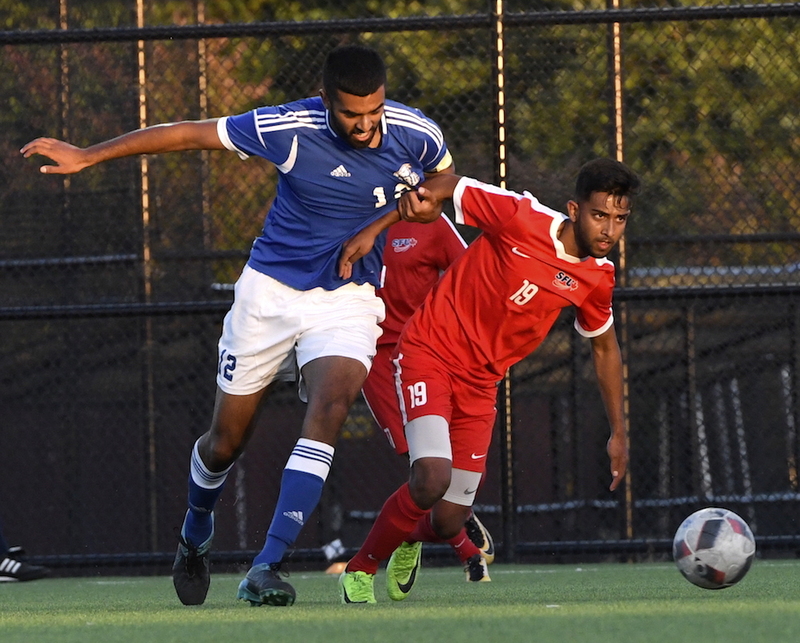 It also helps SFU men’s soccer field the best team it can based on the number of dollars it has to spend within its scholarship pool when housing costs can be greatly reduced. The local connection of which the coach speaks is led at the top end by Coquitlam native Adam Jones, the senior and reigning West Region Player of the Year, and it’s magnified by the quality of Schneider’s past two recruiting classes. Coquitlam’s Matteo Polisi, the team’s goal scoring leader as a pure freshman, has earned a starting role alongside his brother, redshirt freshman Marcello Polisi. As well, Richmond’s Riley Pang, Burnaby’s Rahid Rahiem and Connor Glennon, a Vernon native and Whitecaps Residency player, have played major minutes throughout the campaign. “I don’t need to say a thing because it’s all a part of our culture,” Schneider says when asked how much he will talk about what home-field advantage needs to mean to his players this week. After all, the home record speaks volumes, and it hasn’t happened by accident.